A recent comment from one of our readers sent me on a mission to clarify the difference between plastic and fiberglass. I found some interesting products in each category that I want to share. 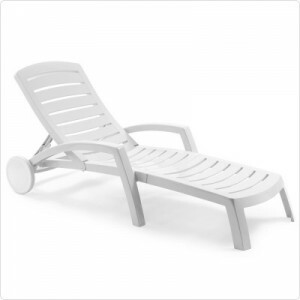 We have all seen and have probably sat in this common plastic lounge chair. It is made out of standard old plastic. 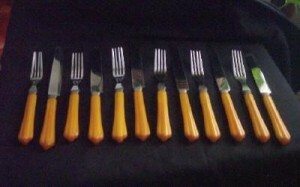 The first product made of the plastic that we know today was Bakelite, invented by Leo Hendrik Bakeland in 1907. I thought this old telephone pictured below was a neat find, I had no idea they were made out of Bakelite! I grew up with these bakelite utensils at home, I always loved the plastic handles. Then we have recycled plastic. 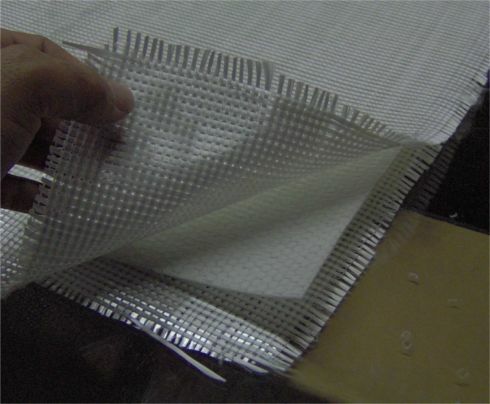 There are many products today that utilize this material which is durable and weather resistant. I have seen decking, fences and all kinds of recycled plastic lumber. 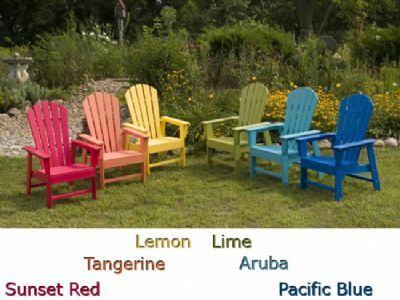 I liked these colorful adirondack chairs and wish I had a yard so I could buy some. Moving on to fiberglass. 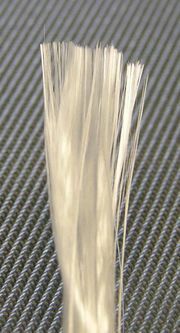 Fiberglass is in fact made out of fine glass fibers as shown below. These are woven glass fibers encasing a fiberglass textile filling. The material is reinforced by these fibers making it strong and durable, even more so than its predecessor plastic. Charles and Ray Eames were known for their early work in fiberglass. Here is the chair that inspired this post! 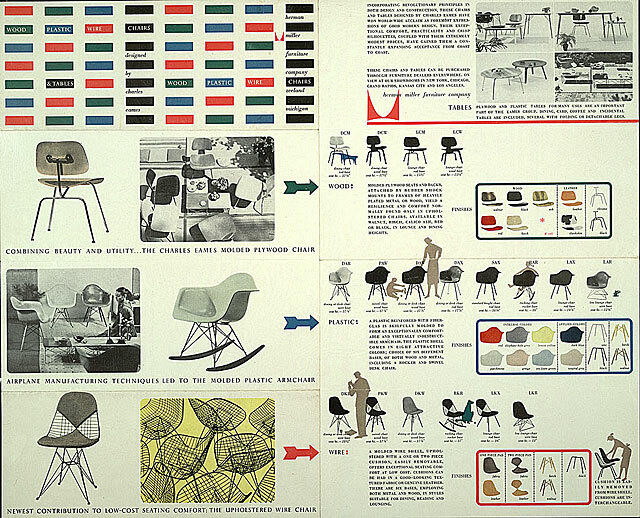 I love this promotional brochure from 1954 by the Eames’s, what a nice combination of marketing and art. Fiberglass is also a popular material for making surfboards, kayaks and boats. 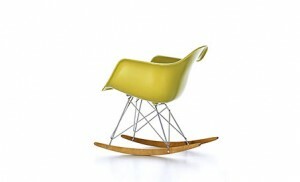 It is lightweight, durable and low maintenance. 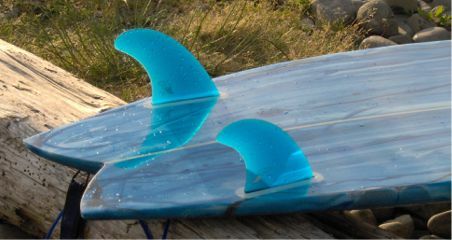 Here, the fins have a glass like quality about them.